Dubai is a home to the world’s tallest buildings, biggest man-made islands, and largest shopping malls. But there’s another addition to this list of superlatives – IMG Worlds of Adventure – the world’s largest indoor theme park. It took around three years and over 1 billion dollars to construct this park. The park is huge and it measures about 1.5 million square feet in size. It can accommodate over 20,000 guests in one day and includes many roller coaster rides and special attractions to fascinate visitors. It is located in the City of Arabia, alongside Sheikh Mohammad Bin Zayed Road, and sports a slogan that says, ‘Live the epic adventure.’ It was opened in 2016 and since then it has offered great experiences for visitors all year round. Every visitor needs to go through a security check. Some of the items not allowed are weapons, illegal drugs, glass bottles, explosives, alcoholic beverages, skateboards and more. If you’re a fan of Marvel superheroes such as The Hulk, The Avengers, Spider-Man, you’ll love this zone. This is the action-packed area of the park with some amazing rides. They include Avengers Battle of Ultron, Hulk Epsilon Base 3D, Thor Thunder Spin, and Avengers Flight of the Quinjets. There are dining options and restaurants here too. This is a fantasy world dedicated to the dinosaurs. 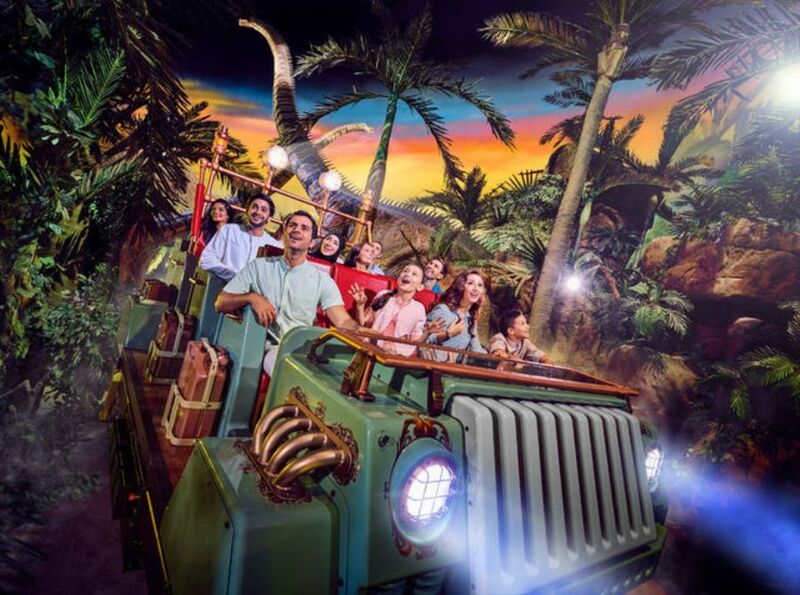 There are magnificent rides and special attractions for the people who wish to explore the Lost World. 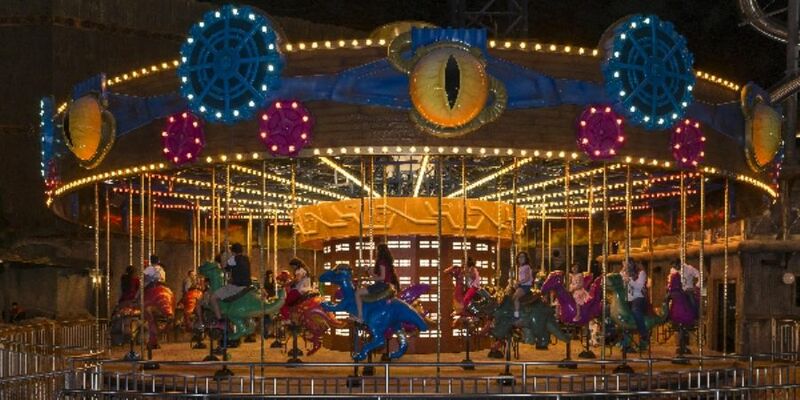 Some of the rides include Forbidden Territory, The Velociraptor, Dino Carousel, Predator, and Adventure Fortress. Here also, you’ll find some restaurants. If your kid is a Cartoon Network fan, they’ll love this zone. 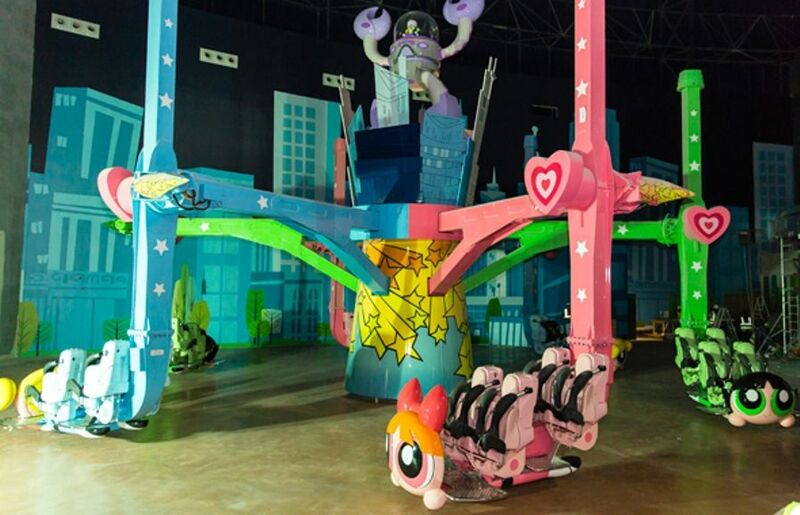 Some excellent rides include Ben 10 5D Hero Time, The Amazing Ride of Gumball, Lazy Town and more. There are also shopping sites, hangouts, and eating joints here. This is a combination of thrill and leisure. The attractions include a haunted hotel, popcorn factory, flavours of Arabia, samosa house, and the coffee house. NOVO Cinemas is a 12-screen multiplex in the IMG Worlds of Adventure amusement park located at just a distance of 15 minutes from the Dubai central. This movie zone offers a 7-star experience to visitors with 3D IMAX technology. If you’re a serious movie buff, you’ll probably never want to leave. It has state-of-the-art-technology to give audiences a real-life experience and includes some dining and shopping too. Overall, it is an amazing experience to watch movies here. Besides the adventures at this park, there is no dearth of dining options. Every zone of the park has restaurants with different themes and offering unique cuisines. Hotdog Express: Obviously for hot dog lovers. Captain Scoop: For ice-cream lovers, yo. Downtown Shawarma: Love shawarma like Iron Man. Get yours here. The Candy Palace: Get your sweet tooth on. Spice Valley: For tandoor and roasted meat lovers. I challenge you to not pick up some memorabilia from this fun place on your way out. You’ll be spoiled for choice with all the merchandise available. Empire News and Comics: Comic book lovers can buy comics and souvenirs here. There are many more shopping zones like the ones mentioned above. If you’re in Dubai, you cannot miss this extraordinary theme park. It could end up being a fun outing for your family where you can spend quality time and create some great memories. After all, it’s not called the world’s largest theme park for nothing. 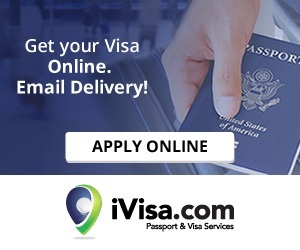 How To Travel To Dubai? There are a lot of flights that connect to Dubai from different countries. All you need to do is choose the best airline for your trip to Dubai. Dubai offers a lavish experience to visitors so don’t pass up the opportunity to spend a vacation here. 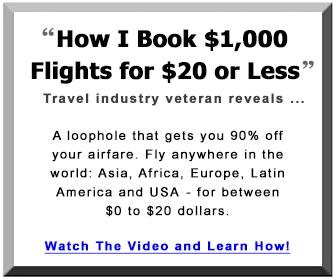 Try to book your flight ticket in advance to get the lowest price. 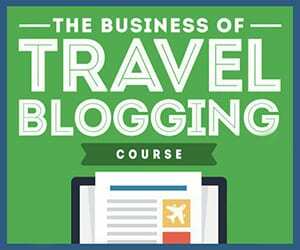 Travelling is Anoop’s passion and he has explored many places in India. Now he aims to see the beauty of nature outside India, and enjoy serene, calm, adventurous trips. He loves to share his travel experiences. I love amusement parks. How have I never heard of IMG in Dubai when it is the largest in the world? I will be in Dubai in March and I will have to go! Also, consider visiting MotionGate and some of the other theme parks. We loved it, especially the 4D experiences. I am not very fond of theme parks. But I can surely refer this to my cousins who have children and are planning for Dubai for the next year beginning. I am sure the kids will have a lot of fun in there. 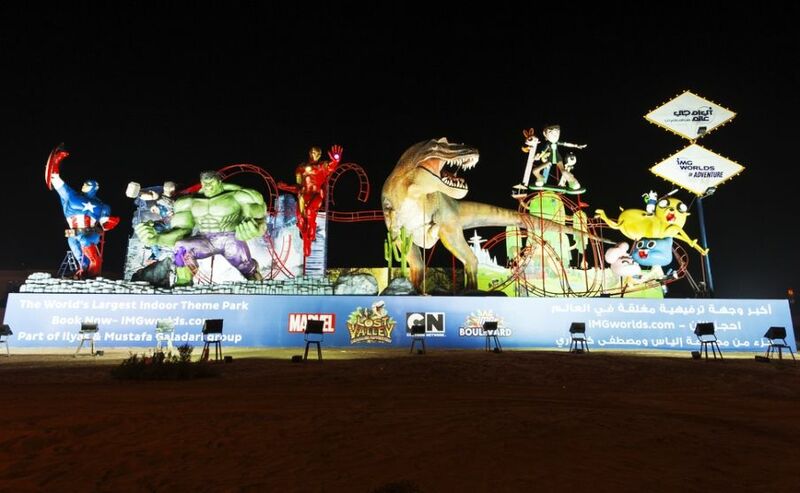 This article is not by me, but my kid and I went to MotionGate, another theme park in Dubai and we had the best time. Wow – looks like a fantastic place for kids. Thanks for all the background info to make planning a visit there much easier. Glad you found it useful, Chef Mireille. 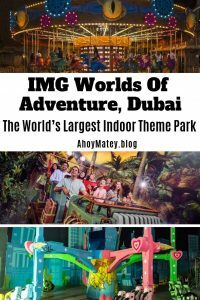 I have never heard of the IMG theme park in Dubai – but I’ve never been to that part of the world. It looks like a place I would definitely want to visit. Thanks for sharing the details. Will definitely check this place out if I can get to Dubai. I hope you get a chance to visit Dubai, Sara. It’s something else. Wow, I love visiting theme parks! They are the best way to go back to childhood, spending some stress free fun time. Wasn’t aware of this indoor theme in Dubai. I’m so glad I came across this as I’m planning a trip to Dubai soon, it will be definitely top spots to visit on my list. Dubai never fails to amaze me. Hope to go there one day. really hoping to visit the Marvel theme park.